There are 2 types of coffee drinkers: those who drink out of necessity, and those who drink for pleasure. If you belong to the second group, you love the flavors, textures, and aromas of coffee. But that doesn’t mean that you don’t want a wallet-friendly and quick daily drink option. That’s where the Nespresso machine comes in. It has the ability to turn you into a barista by making your own cappuccinos, lattes, and strong coffees at home in just a couple of minutes. 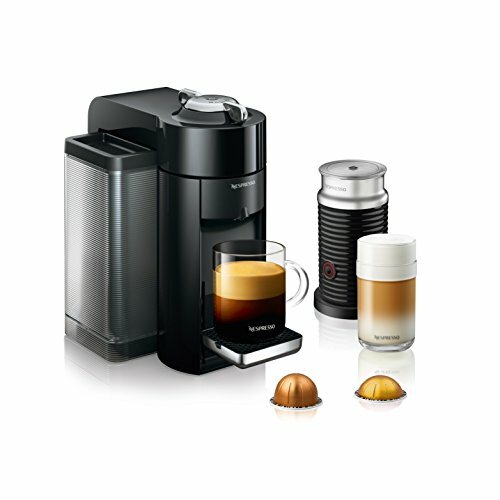 There are many choices for Nespresso machines and coffees. In this guide, you will learn how to choose the best Nespresso coffee machine for you and your home. Here are 7 top rated Nespresso machine reviews and comparisons. Espresso drinkers will love the consistent quality and rich flavor of the Vertuo drinks. You can do this for a fraction of the cost of a drive-thru espresso or latte. Those in a hurry will also love the fact that the barcode on the capsule does the work for them- no wasting time adjusting settings day after day. This machine will only accept Nespresso VertuoLine capsules. The Vertuo capsules are great because you don’t have to just take them out of the machine after each use. The Vertuo can hold 13-20 spent capsules, depending on size, in the integrated waste bin. And the pods are recyclable. If you don’t live near a Nespresso store, they’ll send you a bag, and you can send them to the company for recycling. This machine is much louder than a regular drip coffee maker, and it puts out espresso that is about 10 or 15 degrees cooler than what most American coffee is brewed at. But you can find a lot of different roasts and even a couple of flavored options to get lots of different espressos and coffees out of one machine. This machine is the basic Vertuo and works well for those who want a quick basic espresso. The Nespresso Vertuo Evoluo has basically the same features as the original Vertuo, except it's improved a couple of things. The first is that it has a hotter temperature by about 5 or 8 degrees. This is because of the constant complaints of coffee being too cold. The second thing that has been improved is the water reservoir. It's 14 oz larger with this model. The Evoluo does not take the Alto XL pods to make the 14 oz coffee. But you can still get shots of espresso or cups of coffee. You can also personally adjust the amount of water that it puts through the machine, and it will remember that setting for the next time. This machine also comes with the Aeroccino milk frother. This will give you hot or cold milk foam and warm milk for a great coffeehouse drink. The downside of this is at the milk frother takes a long time to heat up and to work, which defeats the purpose of the Vertuo Evoluo machine being able to work in under a minute. 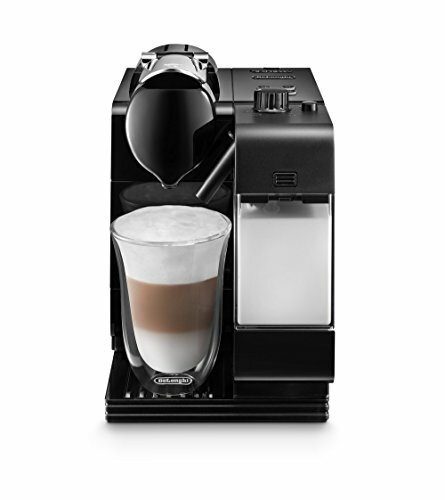 This machine is ideal for those who want a quick latte every day, and have a tiny bit of extra time to run the Aeroccino. The Nespresso Inissia Espresso machine is a very basic espresso machine. It can have you a shot of espresso in under a minute. It also takes up just a tiny bit of counter space because it's one of their more compact machines. Daily coffee drinkers will love the programmable buttons that are sent to their specifications for every cup. And the high-pressure system makes a delicious shot of espresso. The Original Nespresso capsules are cheaper than the Vertuo capsules and easier to find. If you want to make a bigger espresso drink, you do have to go through more capsules, which can up the cost. This machine is pretty loud. But since it only brews for a short time, you can typically get over the noise factor. The other bad thing about it being so compact is that it can't fit large mugs. If you're trying to fit an espresso drink into a travel mug, you'll find it almost impossible with the size of this machine. Also, the water reservoir is smaller and is located at the back of the machine, so it's harder to fill. This machine is ideal for someone who wants a quick, small shot of espresso on the daily. The integrated milk frother is amazing. You can get hot or frothed milk, in a latte or by itself. You can customize the amount of foam to your liking. Between the espresso capsules and the milk frother, it's so easy to make a latte that tastes nearly as good as barista-crafted ones. Even with the milk frothing and everything, you can still get your drink done in under 2 minutes. You do have to take an extra few seconds to clean the milk spout before each use, which requires holding down a button for about 10 seconds. And once you use and program the drink and milk buttons, the process is gets even faster. This machine requires more cleaning than other models. You have to keep the removable and dishwasher-safe milk carafe clean and fresh at all times.. It's frustrating that the water unit is so small, because you have to use it to run more clean cycles, so you go through water much faster with the Lattissima Plus. This might be the best machine if you love milk-infused drinks like lattes, cappuccinos, or macchiatos and need them in a hurry. The Nespresso Pixie espresso machine is one of the smallest and most inexpensive Nespresso units available. It makes similar espresso to the other machines, but the housing and the reservoir are a lot smaller. It’s a simple machine, with just a couple of buttons and not a lot else. It’s fast too- it makes a shot of espresso in under a minute. Perfect for those on the go who don’t need a fussy drink. Because of the customization of the programmable buttons, you can technically brew a double espresso shot or a ristretto, which are outside the given cup parameters. Just hold the brew button for longer or push it early to get the right size. That makes this machine just as capable as the bigger Nespresso machines. The Pixie is still loud for being such a small machine. It also brews espresso that’s not as hot as most people like, being only about 160 degrees. The water reservoir needs refilling every few days, and it likes to leak. This is a pretty decent machine for anyone since it’s fast, small and versatile. It’s best suited to those who drink espresso daily and have a small kitchen, or those just getting into the Nespresso game. 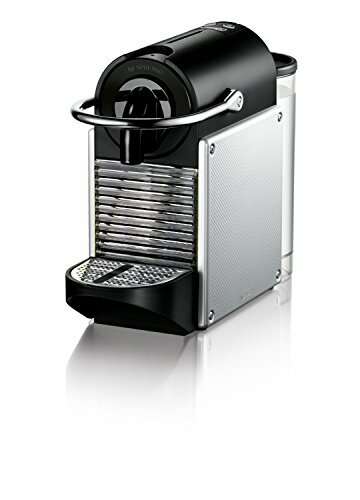 The Nespresso CitiZ espresso machine is very similar to the Pixie machine. It's slightly bigger and slightly heavier but has similar design and similar capabilities. It’s still small and ideal for small kitchens. It has a 10 ounce bigger water reservoir. The design is a little different, with a more retro look. It won the Red Dot design award back in 2009. The folding drip tray is really nice, as this machine will accommodate a larger size mug than the Pixie. That makes brewing a to-go cup easier, but you will have to brew through more pods to get anything larger than lungo and have it not be weak. The CitiZ is made from more plastic parts than the Pixie. It has a plastic outer design, instead of an aluminum exterior. It's pretty loud for being a small machine, but that's standard for Nespressos. The drop in and pull out pod insertion for the capsules can be a bit tricky, as sometimes capsules like to get stuck. This would be a great machine for someone who likes regular espresso and usually needs it to go. The Nespresso Prodigio is a unique machine because it has app connectivity. You can get the Nespresso app and set a time for brewing and brew a cup of espresso from your phone. You can also join the Nespresso club and buy capsules and register your machine to help manage its maintenance, like water levels and descaling. Beware- uses Bluetooth only and NOT wifi. It’s also unique because it has the built-in milk frother. This makes a latte in the push of a single button. It takes more time to brew if you add a milk foam, but it still works in less than 2 minutes. The design here is special because the attached water reservoir and Aeroccino completely rotate. You can easily place it anywhere it the kitchen, including a corner, and have full access to the tanks. It doesn’t need a lot of head space since you don’t have to open the top to insert a capsule. You just drop it in and press the lever to prepare for brewing. If you want or need the mobile tech to brew your daily coffee, and you like milk-based coffee drinks, this is the machine for you. Nespresso coffee machines began about 30 years ago. They have been trying to revolutionize the way that people make coffee by allowing them to get a high-quality, flavorful, and authentic espresso-based drink at home. Nespresso is actually the child of global food biz giant Nestle. The machines and coffees are based in Switzerland at Nestle’s headquarters, but coffee and ideas are sourced globally. 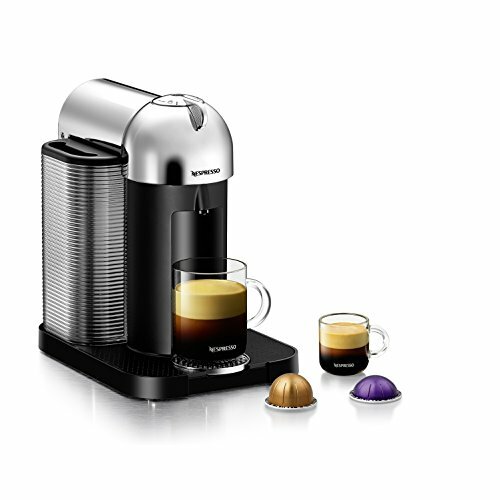 Nespresso machines mimic the espresso machines used by professional baristas. The machines take hot water and use pressure to force it through a metal pod filled with a pre-filled amount of coffee for a flavorful cup. Think of it as a European Keurig coffee maker. Beyond just making coffee, these machines will help you make the lattes and cappuccinos that you want. Depending on which of the 60 models you choose, you can also steam and froth milk to make a silky foam. There are lots of different flavors of coffee to choose from, with pods created for certain sizes and flavors. Coffees can be enjoyed in any size range and can be enjoyed plain with crema, which Nespresso makes at each brewing, or with milk. There’s no doubt about the tastiness of Nespresso. According to one article from the Independent in the UK, Nestle coffee is served in some of the finest establishments in Britain. That’s why this coffee is well suited to those with expensive coffee tastes. It’s not for utilitarian coffee drinkers, who won’t be able to appreciate the subtle notes in each type of espresso or coffee. Capsule type has a lot to do with whether you purchase the Virtuo or Original Nespresso machine. The Vertuo lines accept the Vertuo capsules and the Vertuo capsules only. That’s because these machines are designed to read the special barcode printed on the Vertuo capsules and brew accordingly. It can be inconvenient because you can’t buy generic pods. It’s also more expensive for the Vertuo pods. The Original capsules are cheaper, but these pods aren’t customized. They will give you a little cup of espresso, with a light and fluffy crema. You can opt to use the aluminum pods from Nespresso, or you can find off-brands of coffee that are compatible with Nespresso machines. Since these are essentially espresso machines, what you are making is a shot of espresso in ristretto (.70 oz), espresso (1.35 oz), double espresso (2.7 oz), Gran Lungo (5 oz). Then with the Virtuo Line of machines, you have the option of making coffee (7.77 oz) or alto XL (14 oz). Some of the Nespresso machines come with a built-in milk frother. Nespresso calls this the Aeroccino, as it provides warm, steamed milk and milk foam for decadent cappuccinos or lattes. These machines will also have a milk reservoir that can be removed and filled with fresh milk. The final thing you’ll want to look at are the machine dimensions. Nespresso offers small, compact machines that take up only a tiny bit of counter space, but they can’t make large cups of coffee. They also have much smaller water reservoirs. Then they make borderline professional machines that take up a ton of room but can make more drink options. Here is a comparison of popular Nespresso Machine models. All Nespresso machines work similarly. The big differentiators of the two lines, the Original line, and the Vertuo line are technology and coffee. Each of these lines can come from a number of manufacturers. Original coffee comes in one capsule size. There are 24 different capsules that brew 3 different cup sizes ranging in intensity and flavor. The Original line uses professional technology. The 19 Bar extraction system uses a very high pressure to force the water into the capsule. This is supposed to give you the best aroma and flavor each and every time. This technology is the same for every cup of coffee you make and doesn’t adapt or change. The Vertuo line of machines uses a larger range of coffee sizes. You can get 20 different coffee pods to make 4 cup sizes. The pods are available in 3 different sizes for better customization of size, strength, and flavor. You can still get flavors or decaf coffee. This line still produces a crema with each brew that’ll bring out the flavors. This crema is a bit lighter and foamier and not as dense. The Vertuo machines use CentriFusion extraction technology. This is smarter than the 19 Bar pressure system because it responds specifically to each pod placed in the machine. There’s a barcode on the Vertuo pods that tells the machine how to regulate the temperature, pressure, water amount, pod rotation, and infusion time. That’s why the Vertuo lines have one-touch brewing- they recognize the pods and will brew them to your size specifications. So what’s the big difference in the two lines? The Vertuo line makes larger cups of coffee. It uses a smarter system that adapts to each cup and allows for the one-touch button brewing. The Original line is smaller and simpler but gives you similar coffee. Since the Original line doesn’t change temperature, it tends to brew stronger and hotter coffee. This is a confusing point for a lot of consumers trying to buy a Nespresso machine. There are 8 machine partners that make Nespresso machines. It depends on what region of the world you’re in, but nearly all of the machines are made by DeLonghi, Breville, Kitchen Aid, or Krups. Some of the professional models might be made by Magimix or Siemens. Since all of these brands are well-known in the small appliance and kitchen gadget realm, they all make great products. Most of the differences are going to be aesthetic, like shape, colors, and overall design. 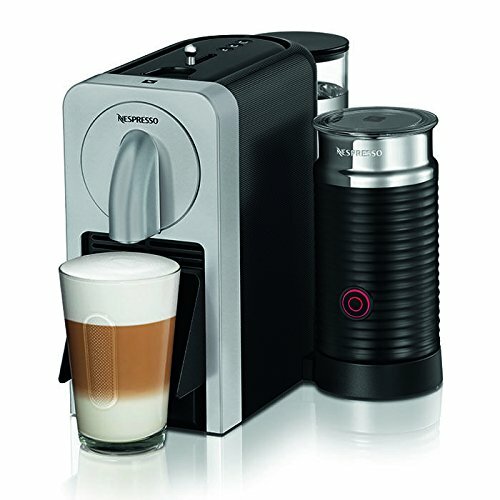 The Nespresso website won’t tell you which manufacturer makes each machine (like the Latissima Plus by DeLonghi or the Vertuo machine by Breville), but some other websites do differentiate, and some you can usually see the difference in person by looking for the brand stamped somewhere on the machine. Nespressos can be hard to differentiate - a few more ounces of water here, a milk-frother there. The Vertuo line is nice, but the Original line makes a stronger and tastier espresso, which is the point of a Nespresso machine. 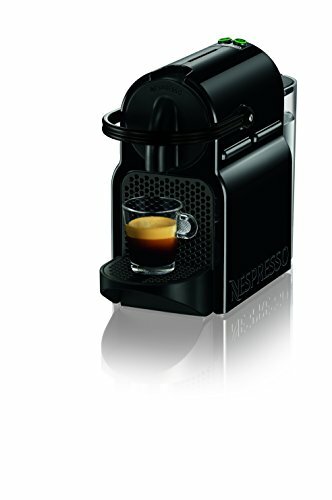 With careful consideration, I would pick the Nespresso CitiZ espresso machine for a first time buyer because it has the size I need and the capabilities I want. It has a small and beautiful design, a good sized water tank, and fast coffee making. The folding drip tray and taller stature can accommodate travel mugs. I don’t mind the plastic parts, and they’re easier to clean. The water tank is harder to refill since it's in the back, and the manual capsule insertion and removal can be a pain. But I’ll gladly suffer through those things to get a nice machine that’s smaller and less expensive.